9 Signs You Are Employed By Two Employers | How Sue A Staffing Agency In Los Angeles? For years I have been at the forefront of employment law questions that turn on who the actual employer is. Many of these cases involve employees who are paid through a temporary agency otherwise known as a staffing agency or labor broker, but whom receive all management and supervision from another entity. Legal words used to describe these employment relationships include joint employer, general employer, special employer, borrowed employees, lending employers. In determining who the actual employer is, the right to direct the work is important. Who is managing and supervising the work? The reality of the employment relationship, and not the paper it is written on, controls the parties’ status, Santa Cruz Poultry v. Superior Court, 194 Cal.App.3d 575, 582 (1987). The place where you are performing services may be your employer; not the temporary staffing agency who placed you there. 9) whether the borrowing employer had the obligation to the employer…Of these considerations, the primary one in determining whether a special employment relationship exists is whether the special employer has the right to control and direct the activities of the alleged employee or the manner and method in which the work is performed, whether exercised, or not, Wedeck v. Unocal Corp., 59 Cal.App.4th 848, 857 (1997). Who Is The Real Employer? In an economic reality test, besides control, the focus is on the length of the relationship between the two entities, the skill required, the investment in facilities for work, and the opportunities for profit or loss from the activities, Bartels v. Birmingham, 322 U.S. 126, 130 (1950). The economic realities test is generally used in cases involving the Fair Labor Standards Act, E.E.O.C. v. Zippo Manufacturing, 713 F.2d 32, 36 (3rd Cir. 1983). New laws require employers to identify their actual names and addresses. A failure to identify the name of the employer on your pay stub is wrong. Contact our firm if you lost your long term job where you were paid through a temporary staffing agency, or the entity whom employed you has failed to properly identify themselves. 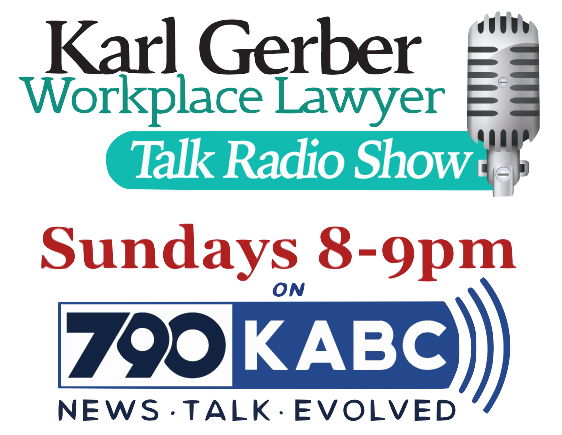 Contact us, or call 1-877-525-0700 toll free to consult with an Employment Lawyers Group Los Angeles wrongful termination lawyer, supervised by Karl Gerber who will be the lead attorney on your case.